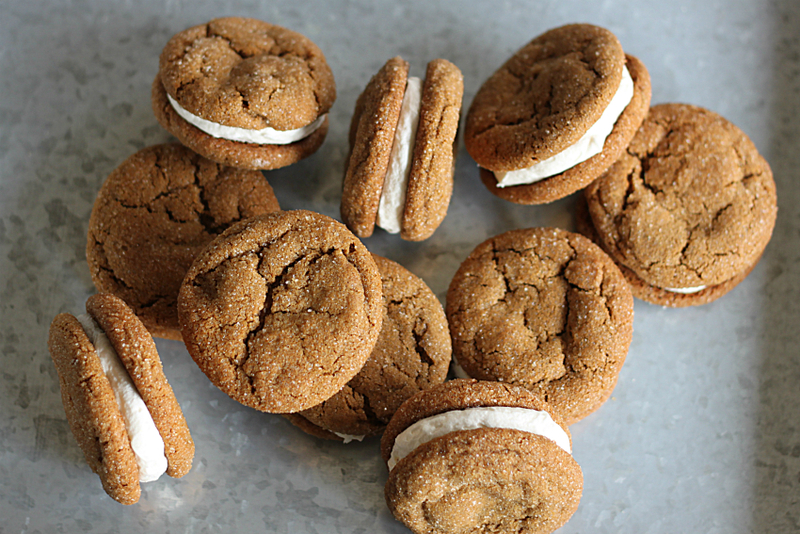 Chewy, flavorful, delightfully creamy center…these molasses cookie sandwiches are the cookie to make this fall season. This recipe is probably the yummiest thing I’ve made recently. Mitch declared them as his favorite type of sandwich-y desserts. As in, he likes these better than whoopie pies. Even the pumpkin kind. And that’s saying something because I just made some pumpkin whoopie pies for Bryce’s birthday treat and they were good. These, according to Mitch, are even better. 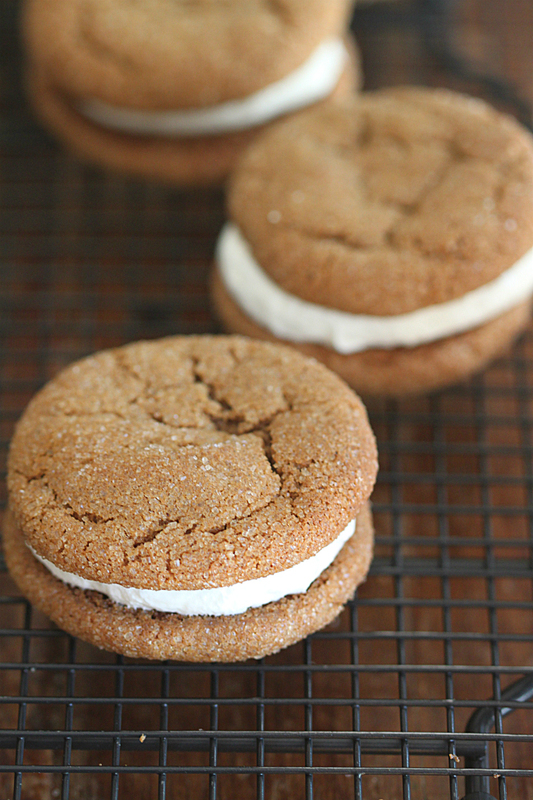 They’re the perfect balance of chewy and creamy…they’re just a delicious little treat. And I think you should make them pronto! 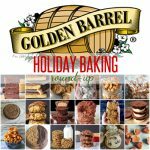 There are quite a few Golden Barrel ingredients in here, so definitely check out our online store for the ingredients. (plus if you sign up for our monthly email newsletter, you’ll receive 10% off your first order!) 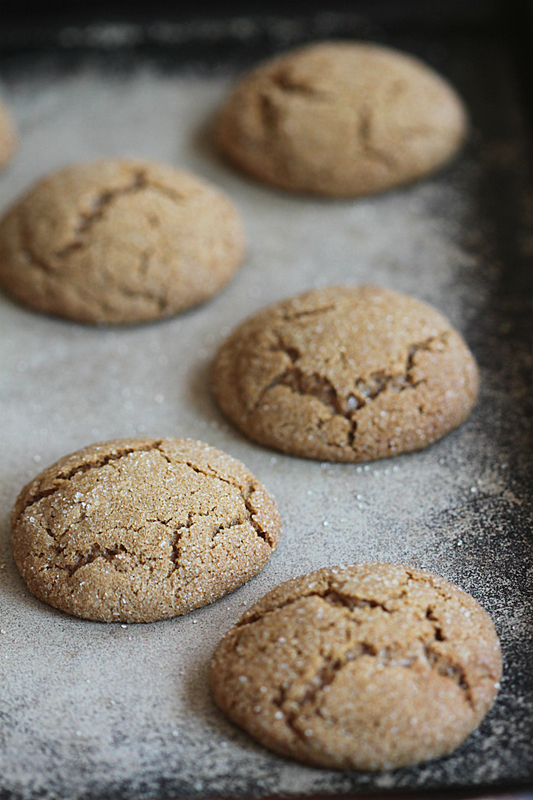 I used both butter as well as coconut oil in these cookies and they turned out nice and plump. A lot of times when using just butter, cookies tend to flatten out. So this way, I got the flavor of the butter but the cookies’ height from coconut oil. Win/win. 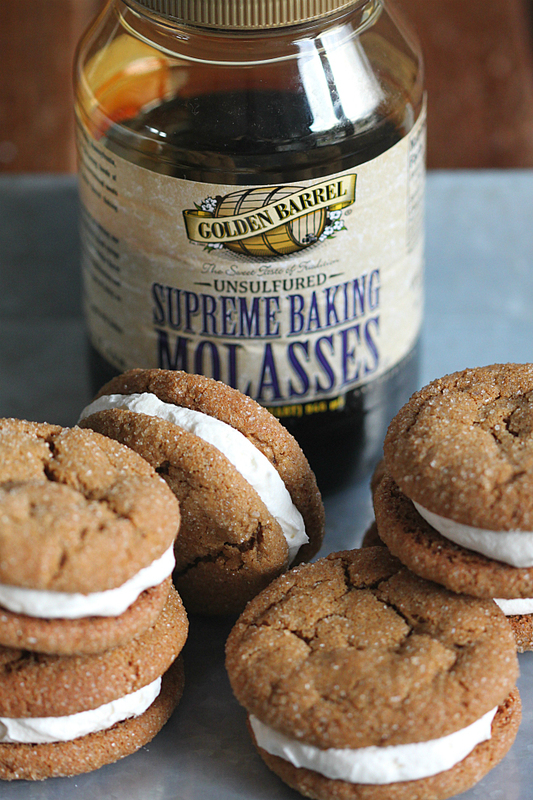 There’s dark brown sugar and Supreme Baking Molasses in the batter for that distinct molasses cookie flavor. Yum-o. 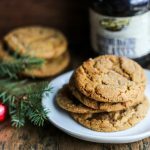 Finished off with a dusting of organic cane sugar for that coarse texture, these cookies not only taste great but they look pretty dang amazing too if you ask me. You may certainly eat them as a cookie, without the filling but…why? For the middle filling, I used a cream cheese/butter icing recipe. 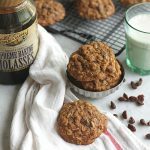 It’s the perfect compliment to the flavorful cookies. 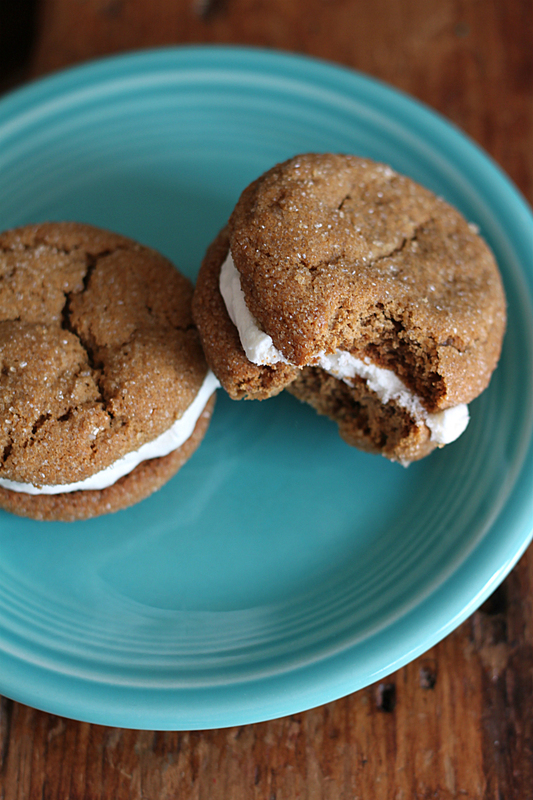 I’m telling you guys, please do yourself and your friends/family a favor and make these here cookie sandwiches. 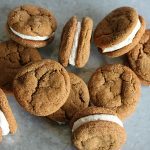 Speaking of friends and family…how great would these Chewy Molasses Cookie Sandwiches with Cream Cheese Filling be as an addition to your Thanksgiving Day dessert table?? Yes. Do it! 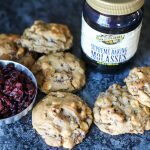 A delightfully chewy and flavorful cookie that's sure to be a hit at your house! In a medium mixing bowl, combine the flour, soda, salt, cinnamon, cloves and ginger. Whisk until blended. Set aside. In a large mixing bowl combine the butter, coconut oil, granulated sugar and brown sugar. Beat on medium until the mixture is light and fluffy. Add the molasses and blend until smooth. Add the eggs, one at a time, beating well after each addition. Slowly add dry ingredients until combined, scraping down sides several times. Cover and refrigerate for about 30 minutes. Preheat the oven to 350 degrees. Pour about a ½ cup (or as much as needed) of the coarse sugar into a bowl for rolling. Scoop out some of the dough using a cookie scoop or tablespoon (I used a medium-sized scoop). 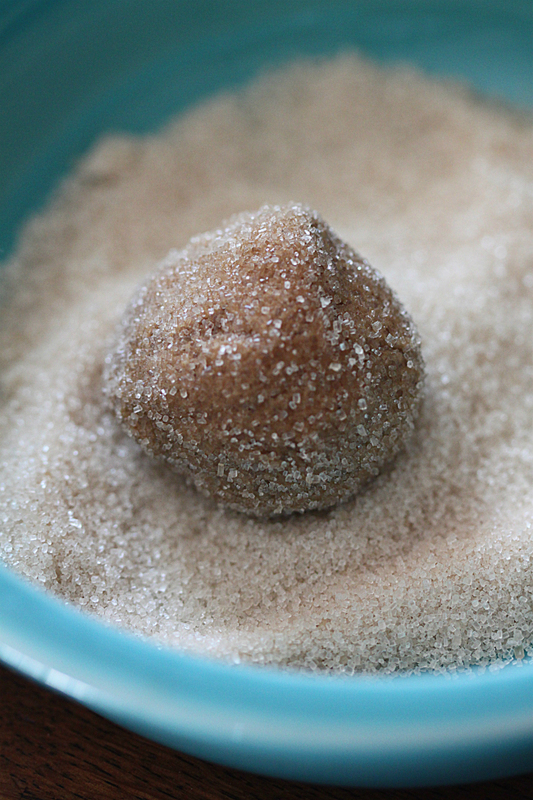 Roll the dough into a ball, then roll the ball in the coarse sugar. Place the cookies on the baking sheet with plenty of room in between (I fit 8 cookies per sheet on mine). Bake for 10-12 minutes. Leave the cookies on the cookie sheet for at least 5 minutes to cool. Remove to a wire rack to cool completely. Repeat with the remaining dough until all cookies are baked. Be sure to use cool pans for each batch. 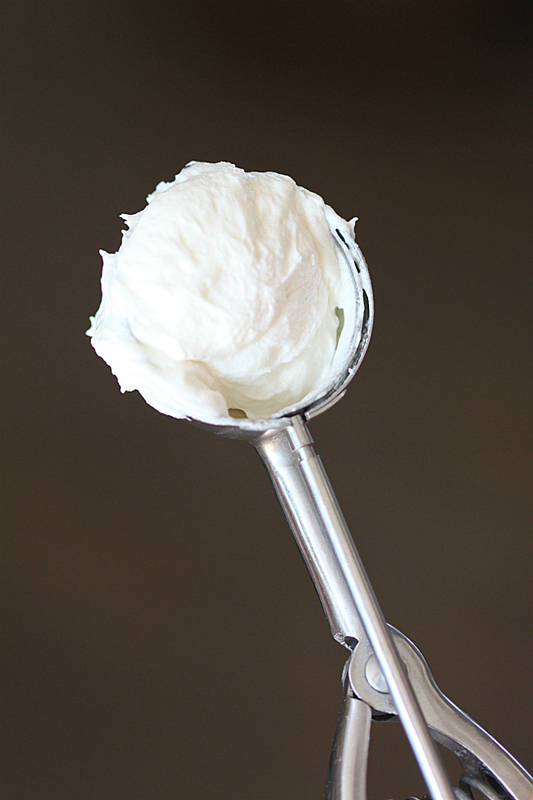 Beat cream cheese, butter and vanilla extract in small mixing bowl on medium speed until fluffy. Gradually beat in powdered sugar until light and fluffy. Using a cookie scoop, scoop out some icing onto a cookie. Take another cookie and gently press down icing, making a cookie sandwich. 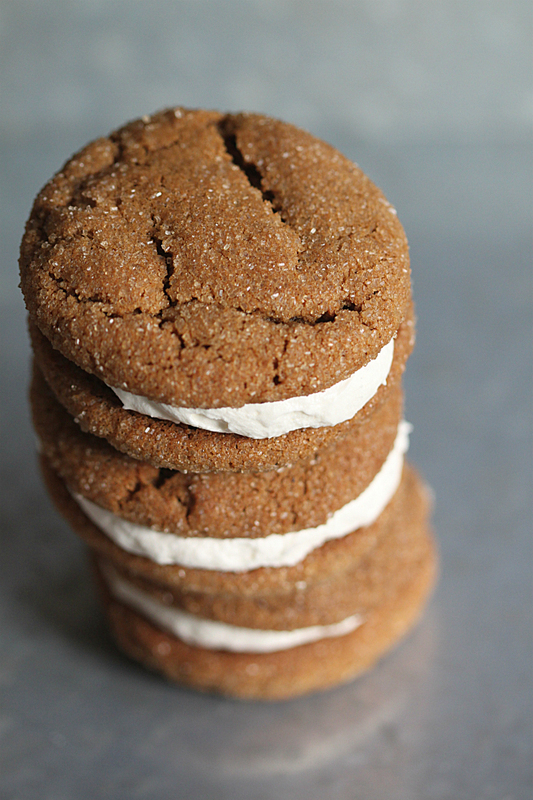 Refrigerate cookie sandwiches for 20-30 minutes before enjoying. Store leftover cookies in the refrigerator. Hi Melissa, actually a stick of butter is 1/2 cup (see http://www.myrecipes.com/how-to/cooking-questions/cups-in-one-stick-butter). I think you are confused in that 1 stick weighs 1/4 lb. Hope this helps.